What is Ayurveda and why is knowledge of Ayurveda important for our health and well-being? Ayurveda is an ancient system of healing that developed in India more than 5000 years ago, and is the oldest continuously practiced system of medicine in the world. Unlike most systems of traditional medicine that rely on a set of folk practices, Ayurveda is a highly sophisticated medical system. It maintains a rigorous approach that includes several branches of practice that correspond to similar disciplines in Western medicine, including internal medicine, surgery, and obstetrics. Ayurveda also includes aspects which are for the most part unknown or poorly developed in modern medicine, such as rasayana chikitsa tantra, a form of preventative medicine that includes anti-aging and longevity enhancement. Ayurveda is also different from Western medicine in that it uses an entirely different system of logic to understand health and disease, based not on quantitative distinctions such as the acquisition of data, but on qualitative impressions that are experienced subjectively. This is to say, when it comes to understanding the manifestation of health and disease, Ayurveda is concerned with the individual experience and reality of the patient, and not objective determinants like blood tests that are measured against a statistical average. While I don’t think that any physician of Ayurveda today, including myself, would ever ignore a patient’s lab work, most would probably never need to see it in order to develop an effective therapeutic strategy. According to the theory and practice of Ayurveda, all we need to understand the basis of disease is to discern the relative balance of three homeostatic mechanisms called tridosha. Although it sounds simple, and it is, it’s also very detailed, and it takes a great deal of experience to become a skilled practitioner of Ayurveda. After 20 years, I feel like I am just starting! Unlike the practice of Western medicine, which is the purview of experts that have spent years and huge sums of money to acquire their knowledge, there is a natural continuum between the practitioner of Ayurveda and the patient. Not just because the patient is an active co-participant in the therapeutic relationship, but because both practitioner and patient must yield to the same universal principle of life, and the natural way of things. What is called dharma by Hindus and Buddhists, in Ayurveda refers to the natural rhythms and cycles of life. From the rising and setting of the sun, to the passing of the seasons, from the creation of life, its fruition, and eventual demise, Ayurveda is concerned with our proper alignment to this dharma. Not just the domain of experts, Ayurveda is a subject which concerns everyone because it is an expression of our relationship with everything. Thus Ayurveda exists as a continuum from a highly skilled practitioners to the experienced hand of a grandma. The cultivation of Ayurveda is to remove impediments caused by a failure to perceive the natural way of life. The expansion of Western thought across the world has brought with it dramatic changes: many things for the better, but a lot of it for the worse. Leaving out the environmental crisis we are leaving as a legacy for generations to come, we can see this impact most notably in modern medicine. While emergency medicine and acute care has dramatically improved the quality of human life, general internal medicine and the treatment of chronic disease has been an unmitigated disaster. Originally reported in the late 1990s, it was confirmed recently that modern medicine is at least the third leading cause of death in North American society. What this speaks to, from the perspective of Ayurveda, is a need to think differently about the nature of health and disease, and the nature of reality itself. The decline of spirituality in Western society, and the growing influence of science and technology upon our minds has led to a fracturing within the modern psyche, facilitating a disconnect with the basis of our own power, good health, and positive relationship with our surroundings. Throughout the millennia, human society has always risked becoming a cancer. It’s why the Mayans of Central American and Kogi of the Sierra Nevada de Santa Marta in South America gave up their urban civilizations and retreated back to the forest. Failing to note this potential is why we are witnessing the rampant environmental degradation of the Industrial Age, and a commensurate increase in the risk of developing cancer. All of this is arises due to the expression of an imbalance within the human psyche. In Ayurveda, all life is interconnected. I believe that our future survival on this planet necessitates a deeper awareness and appreciation for the delicate web of life. 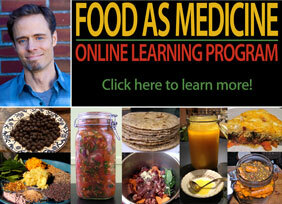 In Ayurveda we have a system of medicine and health care that is exactly that. 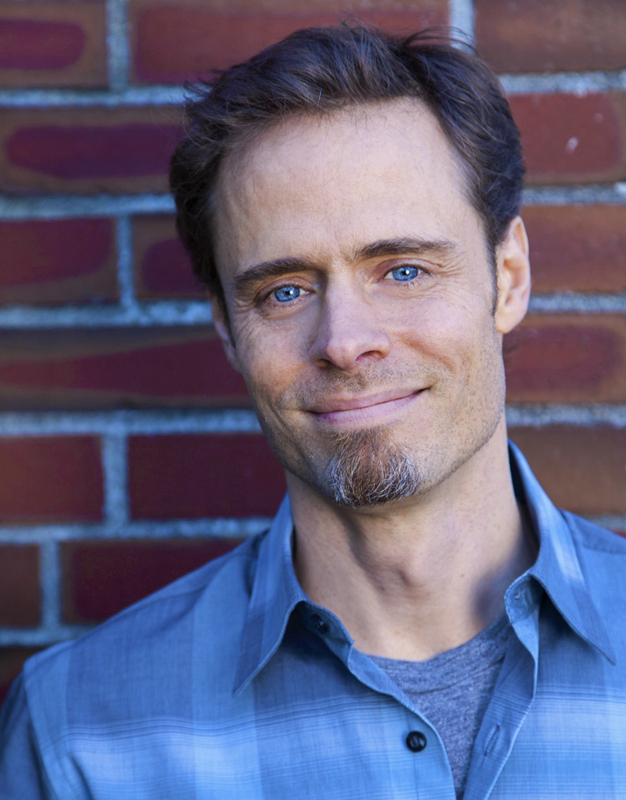 What are the doshas and what is their relationship to our overall health? As I mentioned earlier, the three doshas can be viewed as three interdependent mechanisms that function to maintain homeostatic balance in the body. Thus when any one of the three doshas becomes imbalanced, the body’s regulatory systems become dysfunctional, disorder prevails, and disease takes hold. But the doshas aren’t physical objects that can be measured: they are not some mysterious “fluid” or “gas” that has evaded Western physiologists. Trying to relate the concept of dosha to a material consideration is a mistake. Remember, Ayurveda isn’t concerned with absolutes – it seeks to understand the relative balance between things. A dosha is thus a pattern of interaction comprised of many different cellular and molecular aspects of physiology, none of which specifically relates to a given dosha, but function collectively to yield certain patterns, promoting distinct subjective changes that can be identified on the basis of their qualitative impact. In Ayurveda there are three doshas called vata (flatus), pitta (bile), and kapha (phlegm). I hesitate to use their translated terms, just to save you from thinking that this is the literal definition, because while they can refer to these eliminatory products, they also mean so much more. For example, let’s talk about vata, which is the most important dosha. Vata literally means “to move”, and relates to the active, motive force of mind and body, and when it increases, it promotes the qualities of dry, light, and cold, experienced by the mind and body in both subtle and obvious ways. Other qualities expressed by vata include restlessness, emptiness, brittleness, and harshness. If you are familiar with yoga, you may have heard a term called “prana”, used to refer to the life force of the body. In Ayurveda, vata is quite simply prana in a disturbed state. Thus when vata prevails there is a state of dysregulation that impedes all the qualities of life and nourishment, allowing for decay and degeneration to set in, increasing the dry, light and cold qualities of vata. When vata is increased, the body, organs and tissues become dry and empty, and begin to atrophy and diminish. Exhausted tissues and organs lose their tone, become weak, and start to fall with gravity. With the motive force of prana in a state of dysregulation, digestion becomes erratic, circulation is impaired, the body becomes cold, and the immune system starts to fall apart. In this way, vata represents the end-stage of a condition, the latter stage of life, and ego-dissolution. If you’re at all familiar with the Hindu concept of the Trimurti, of Brahma the Creator, Vishnu the Preserver, and Shiva the Destroyer, vata is represented by the latter. It is for this reason that Shiva is called the Great Yogi, his body besmeared with the ashes of the funeral pyre, mediating on the subject of death. When we experience the qualities of vata, i.e. we feel too dry, too light, too cold, too restless, too stiff, too painful, too obstructed and devoid of energy, we get a sense of this degenerative process. Obviously, the chronicity and severity of these various symptoms has a major impact on the success of any line of treatment, and so Ayurveda tells us to turn our attention to these qualities whenever they arise, learning how to keep them in check and restore homeostasis by applying the theory of tridosha. An ounce of prevention is worth a pound of cure! If the qualities of vata are increased, the corresponding opposite qualities are applied, such as countering dryness with moisture, lightness with heaviness, coldness with heat, restlessness with stability, etc. Practically speaking, this would inform a major change in diet and lifestyle habits, one that empirically generates an experience that opposes the imbalanced vata qualities. For example, warm oil massages, steam baths, the consumption of meat soups, and a regular routine are all useful ways to reduce vata. The beauty of this approach is that it uses the language of experience, not technology, to connect us to a solution. 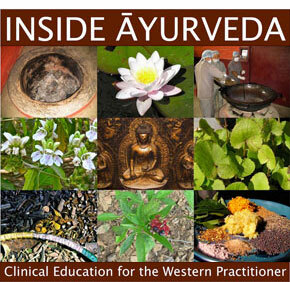 The practice of Ayurveda is expressed in a non-technical language that is easy to understand. Difficulties between the practitioner and patient are resolved because they speak a common language – the language of experience and feeling. In this way, Ayurveda uses both halves of our brain. It is highly structured and analytical, and so access the rational left brain that is utilized exclusively by modern science. But it also uses the feeling/kinesthetic right brain, long held in suspicion or dismissed by rationalists, to serve up connections not with numbers but with poetry and metaphor. 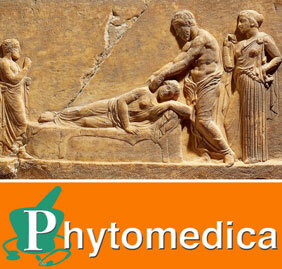 It is said that there is an art to the practice of medicine, and it true statement for very good reason. 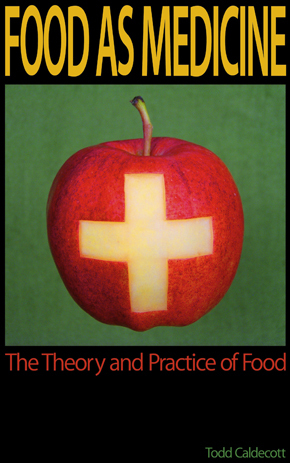 Medicine exists to alleviate suffering, which itself is a subjective feeling, not an objective determinant. With the exception of a tiny minority of autistic people, none of us experiences life as a rational experience. We perhaps like to think we do, but of course we are just fooling ourselves. Consciously or not, we are totally caught up, “drunk” in the sensory experience of life. From the food we eat to our intimate relations, we are completely and utterly caught up in the feelings of life. It is why we live, and if anything, it is feeling that tells us who we are, connecting the mind and body as a poetic expression of life. Thus in the language of the three doshas, we have way to explain and understanding the totality of our experience. Why did you choose Nepal for this program? I have been studying Ayurveda for more than 20 years, and during this time, have spent time with many different teachers, in both India and North America. What has become clear to me over this time is that there is a vast difference between the authentic tradition of Ayurveda, and the system of college-trained physicians that comprises much of what is now called modern Ayurveda. For more than 5000 years Ayurveda has been practiced in India, passed down from teacher to disciple in an unbroken chain of knowledge and experience. The style and content of this traditional education, however, is very different from that obtained in a government-approved college, and time and again I have witnessed the practical differences between traditionally-trained and college-trained physicians. Of particular note is the Buddhist Bajracharya medical lineage of the Kathmandu Valley, which is now one of the oldest continuously practiced lineages of Ayurveda in the world, represented by the life and work late Vaidya Mana Bajracharya, and that of his son, Vaidya Madhu Bajra Bajracharya. Vaidya Mana and his son are hereditary Buddhist Vajrayana priests within the Newar community that have inhabited the Kathmandu Valley since before recorded history. I first came into contact with this 800 year old medical tradition through my colleague, Alan Tillotson, a practitioner for whom I have had a great deal of respect for many years. Alan met Vaidya Mana in Nepal during the early 1970s, when he was traveling and had taken quite ill, and ended up being restored to health by Dr. Mana. This was the beginning of a relationship that continued until Vaidya Mana’s death in 2001. Just before his death, Alan asked me to help him with the translation and editing of Dr. Mana’s work, a library that comprised over 45 separate treatises on medicine. 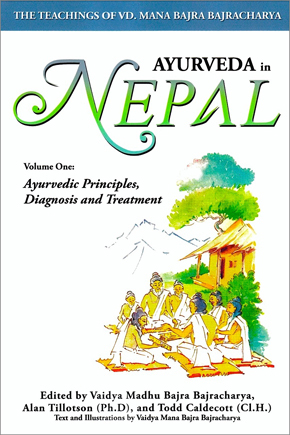 In 2009 I traveled to Nepal to work with Vaidya Madhu, and we published the first book as Ayurveda in Nepal. During this time, I have also drawn upon the Bajracharya medical tradition in my own clinical practice, and for a decade now have had traditional medications prepared at Vaidya Madhu’s clinic couriered from Nepal to individual patients all over the world. Typically, I reserve such medications for very difficult or severe cases, and am continually impressed with their efficacy, and am both grateful and deeply appreciative of the great skill and knowledge it takes to prepare them correctly. As venerable and ancient as this tradition is, it risks being eclipsed by the same factors found all over the world that are similarly leading to a loss of traditional knowledge. I chose Nepal for this program, not just for the majesty of the Himalayas, nor the interesting diversity of its culture, but because I believe that this medical tradition is important to the future survival of the human race. Having an intimate experience of its power, I want to share this knowledge so we can preserve these ancient practices before they are lost forever. My eventual goal is to establish an international research centre in Nepal, to help train locals on the sustainable use of medicinal plants and traditional healing methods, and fulfill Vaidya Mana’s dream to protect the future of Ayurveda in Nepal. On this journey, participants will have an opportunity to meet with Dr. Sarita Shreshta, Nepal’s first Ayurvedic OB/GYN – what approach does an Ayurvedic OB/GYN take, and what can women, in general, take away from this approach? Do you have a favourite summer-time Ayurveda recipe you can share with us? Let’s start with the fresh yogurt. Because the milk of the Holstein-Friesen cows that comprise 99% of the dairy industry herd contains a type of casein protein that is antigenic, I suggest using only Jersey, Guernsey, sheep or goat milk. Note as well that I suggest using “fresh” yogurt. Most yogurt found in stores is “old” yogurt, and is already quite sour and dry, whereas fresh yogurt is a thick liquid with a very mild sour taste. You can easily make your own yogurt by inoculating cooled, home-pasteurized milk with commercial yogurt, and letting it ferment for 2-3 hours at 110˚F/43˚C. After this, let it gradually cool to room temperature over the next 8 hours before refrigerating for storage. Ok, got your yogurt now? Take this and blend it up with cool water, a little pink salt, and two tablespoons of jaggery or goor. The latter refers to a solidified cane juice product easily available in your local Indian grocery store. If you can’t find it, you can use muscovado, sucanat or rapadura sugar. Blend well, and then add in a handful of fresh fragrant rose petals and a handful of chopped mint. If you can’t find rose petals, you can use 1/2 tsp of rose water. Blend for several minutes, strain well, and serve in a small glass. This is meant to be sipped slowly in the late afternoon, particularly when it seems too hot to eat much else. Feel free to adjust the ingredients as desired. This is an example of a “sweet” lassi, but there are also “salt” lassis that are made with herbs such as cumin seed, coriander seed, ajwain, black pepper, and hing (asafetida), roasted in a pan and ground into a powder, before being blended with diluted fresh yogurt, pink salt, and one cup chopped fresh cilantro. Strained well and served at room temperature, this is a good remedy if your appetite and digestion becomes too weak.